For those of you seeking nothing less than a spiritual shift on your vacations, there is no better place to find it than the world renowned Esalen Institute in Northern California. 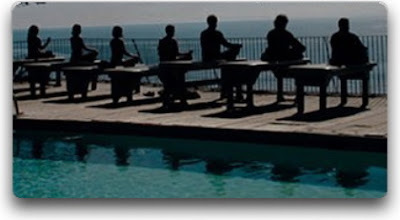 Esalen Institute was founded in 1962 and is situated on 27 acres of the spectacular Big Sur coast mountains. The Institute features experiential workshops geared towards self development and self realization, utilizing spiritual, psychological, creative and socially centered workshops. The center also offers extraordinary workshops for couples as well as men and women only workshops. For families with children, Esalen offers a highly respected day camp at a reasonable rate for kids that is situated on a farm that is guaranteed to inspire your little ones during their stay. 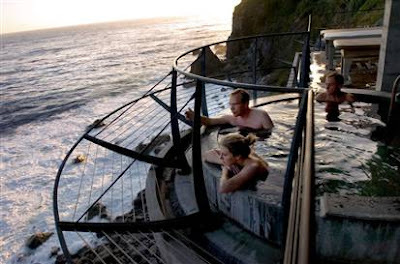 For exhausted moms and dads, pure relaxation is also offered in the form of their glorious Hot Springs with views of the coast that will last a lifetime.